The tech giant Microsoft announced on Monday that a version of Visual Studio for MacOS users will launch in November. With the news, the company will be able to build applications developers in .NET or C # without a computer with Windows operating system. It is not officially released yet, but Microsoft has already announced that Visual Studio will be available on another platform, thus expanding the number of users. It was a record in one of his blogs wrongly released previously, Microsoft announced to the world that Visual Studio version for Mac will feature as we said. Although not much is known about this version, in addition to what was published and removed, but the expectation is that this version is dedicated to creating applications for MacOS, iOS and Android that compatibility will be guaranteed by Xamarin. Of course, all other programming elements, .Net and others are available. According to information shared Microsoft, this new version is a full version of Visual Studio for Windows, including the ability to the users of these platforms share projects and collaborate. Microsoft said. 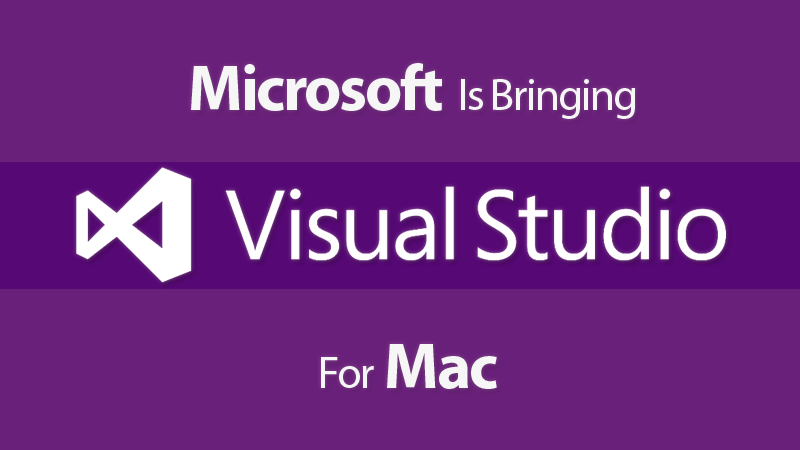 "Compatibility is one of the main Visual Studio focuses for Mac Although it is a new product and does not support all types of Visual Studio projects use the same MSBuild solution and the same design format supported types. If your team members on MacOS and Windows, or switch between the two operating systems you can share your projects on all platforms.